Kindness: the wish for another’s pain to be relieved. Kindness arises from compassion and is one of the most crucial components of leadership. A kind leader is a compassionate leader. Kindness requires having an awareness of one’s own needs and wishes as well as those of others. Leaders that exemplify kindness are experts at understanding that often the greater good often requires putting the needs of others first. Participants learn how kind leaders develop higher levels of trust and, subsequently, better business results. This half or full day workshop takes participants through an exploration of their own strengths relating to kindness, identifying places where it is flourishing, and places where it is blocked or shut down. 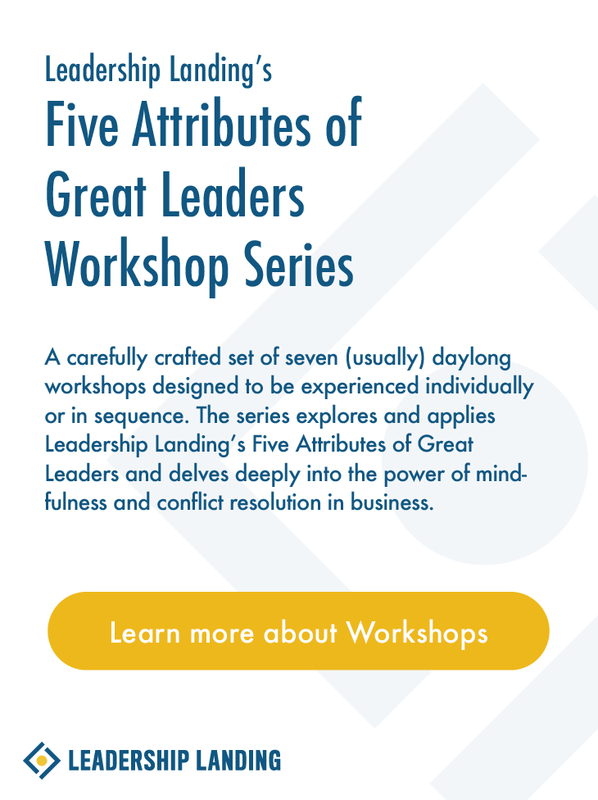 This workshop utilizes mindful meditation to support leaders to articulate their intentions and identify processes to better align their actions with their intentions.